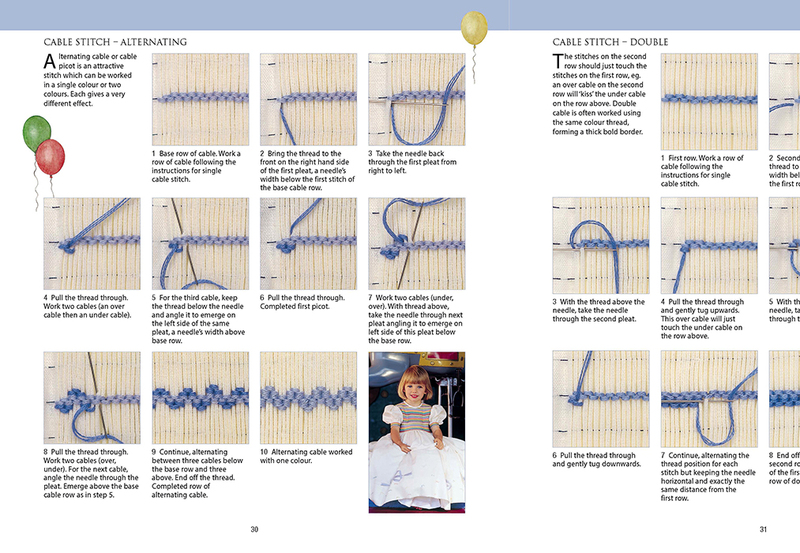 This book features every smocking stitch, clearly explained for beginners, but also has inspiring examples and new or little-known techniques to appeal to experienced smockers. 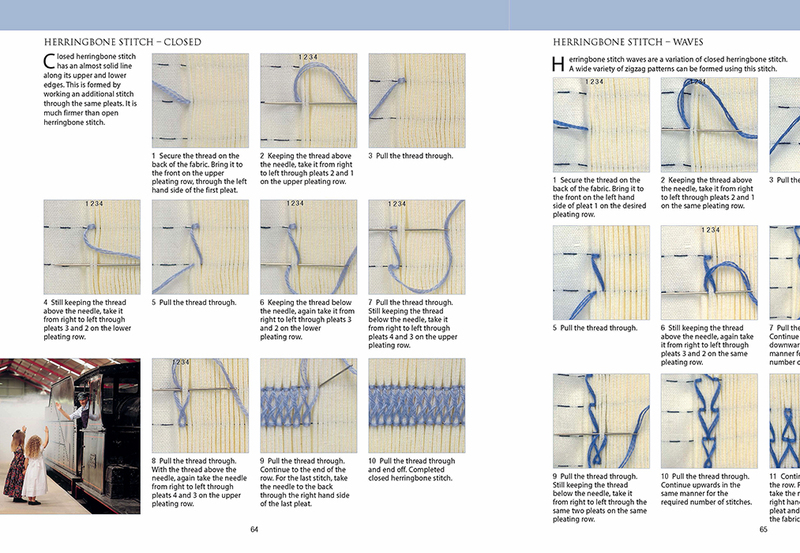 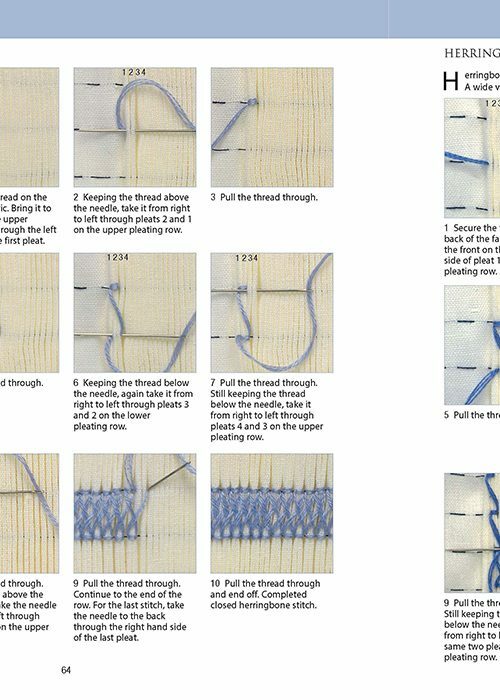 It shows how to work the stitches, read graphs, and select colours, fabric and threads. 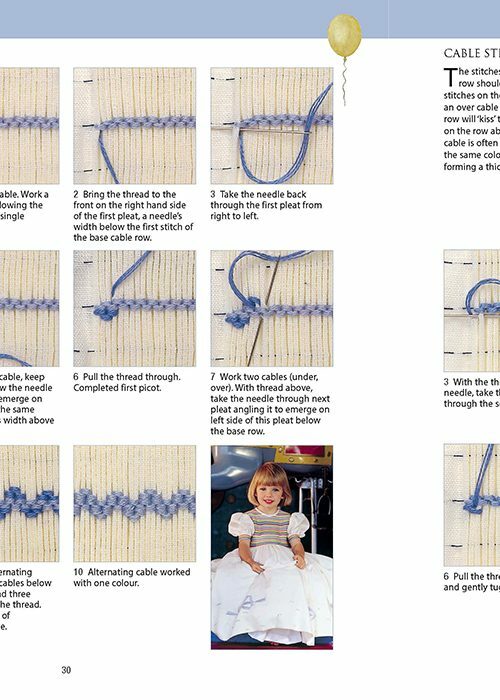 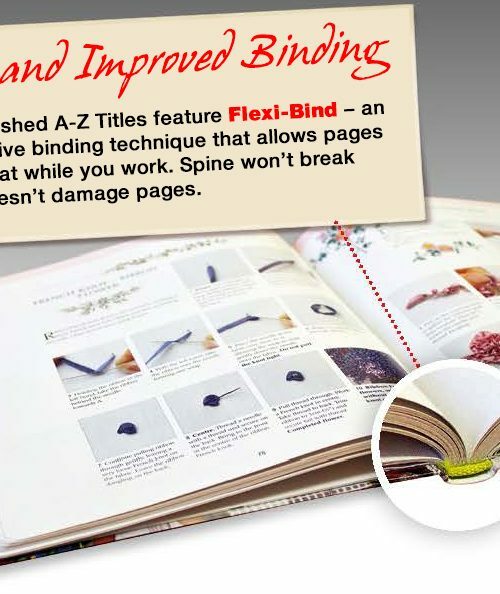 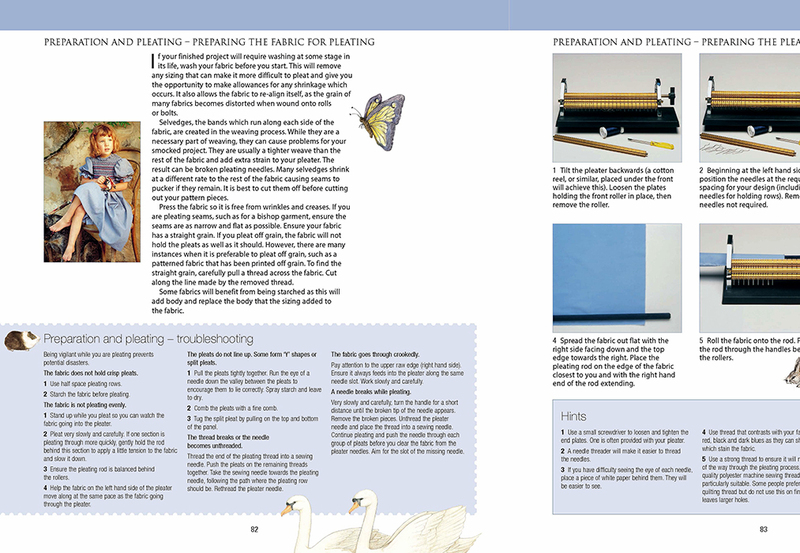 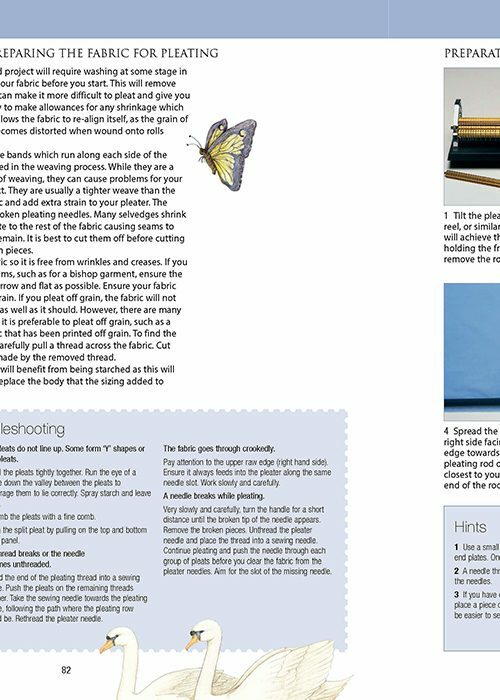 It teaches how to pleat and block a garment, gives advice on different techniques such as ribbon weaving, counterchange, template and freeform smocking and much more. 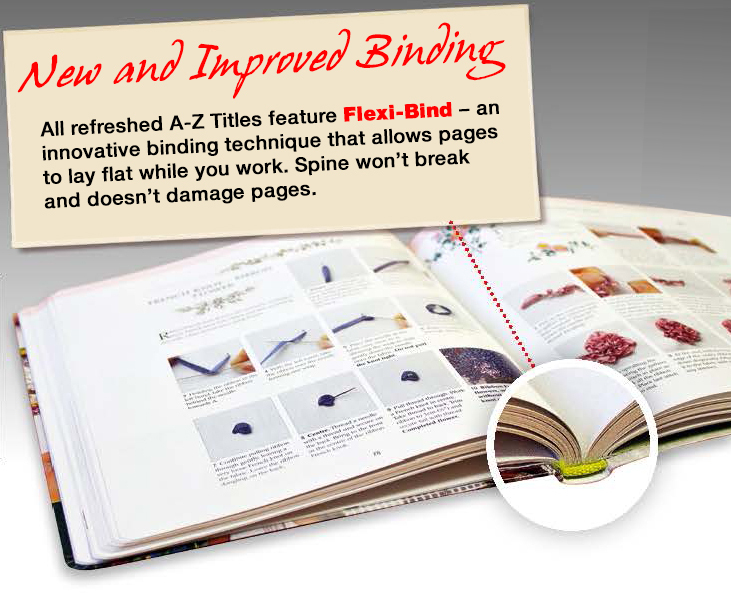 It is bursting with hints, ideas and inspirational photographs. 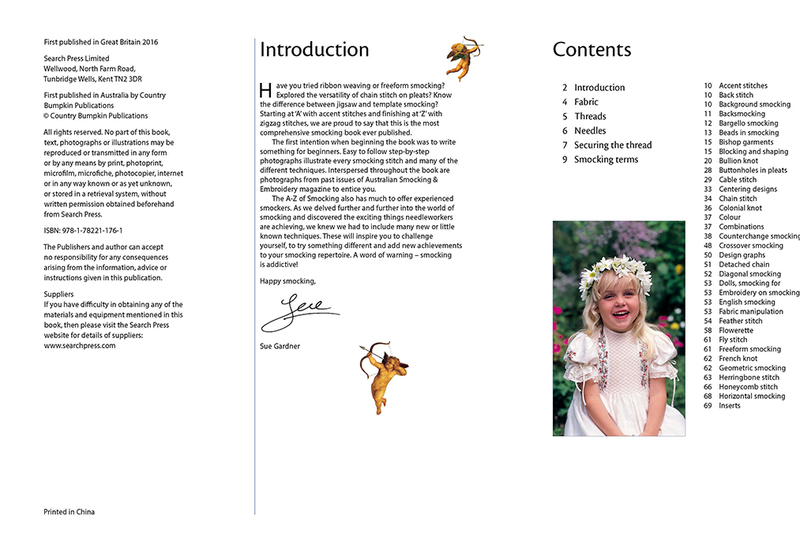 PLEASE NOTE: This title is currently available on back-order, with stock expected to be available March/April 2019. 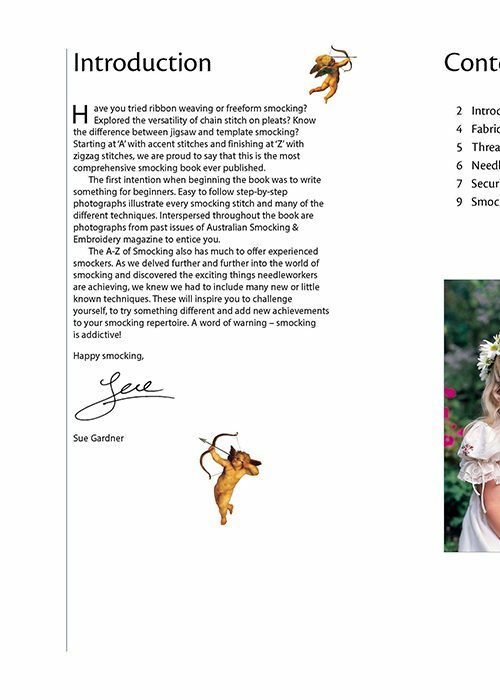 A complete manual for the beginner through to the advanced smocker with over 1000 step-by-step photographs. 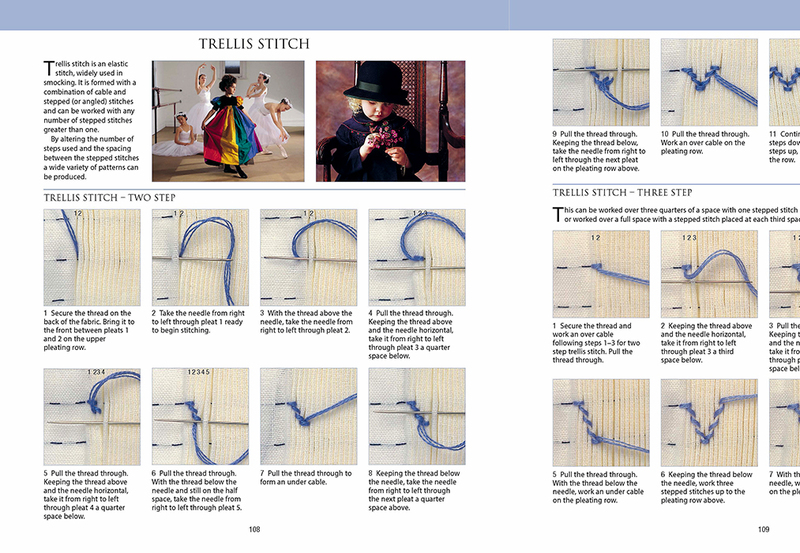 Includes full advice on the fabric, needles and thread needed and a glossary of smocking terms. 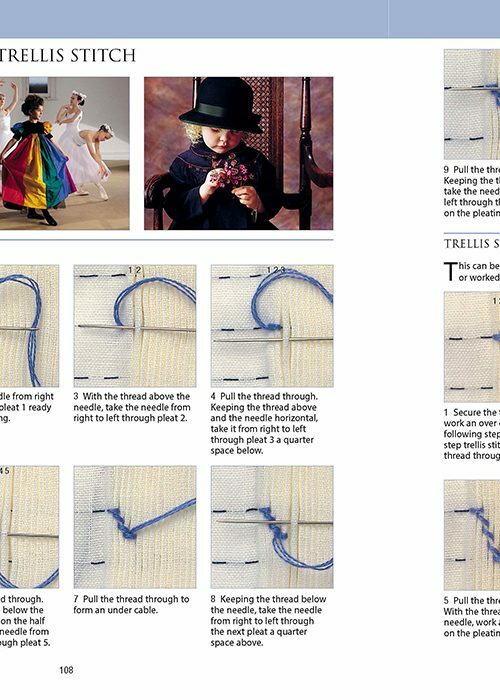 Interspersed throughout the book there are helpful hints for all the stitches and techniques, and beautiful photographs of smocked garments to inspire the reader to pick up a needle. 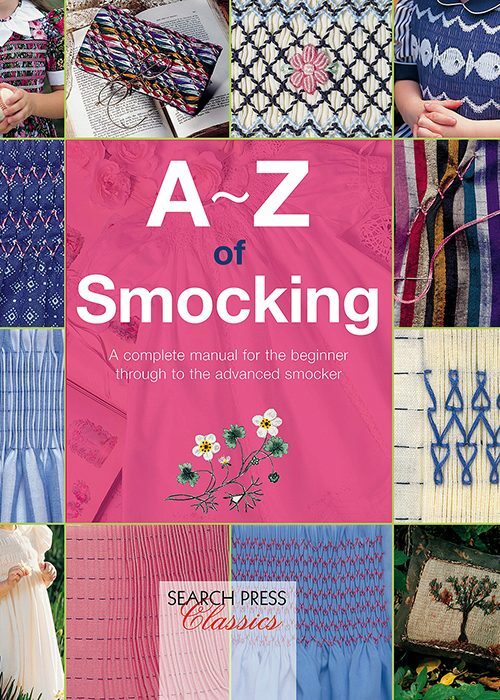 The most comprehensive smocking book available.